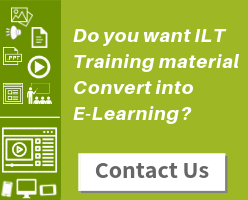 As instructional designers, we aim to design eLearning courses such that it reduces cognitive overload and gives a sense of accomplishment to the learner. But what is the secret sauce to create effective eLearning courses? Declutter the screen with irrelevant images, graphics and heavy on-screen text. And your 50% job is done. Yes, it’s just that. Whether it is custom eLearning, rapid eLearning, mobile learning or even microlearning; Relevancy is the key. And incorporating infographics in eLearning can take your eLearning courses to the next level. 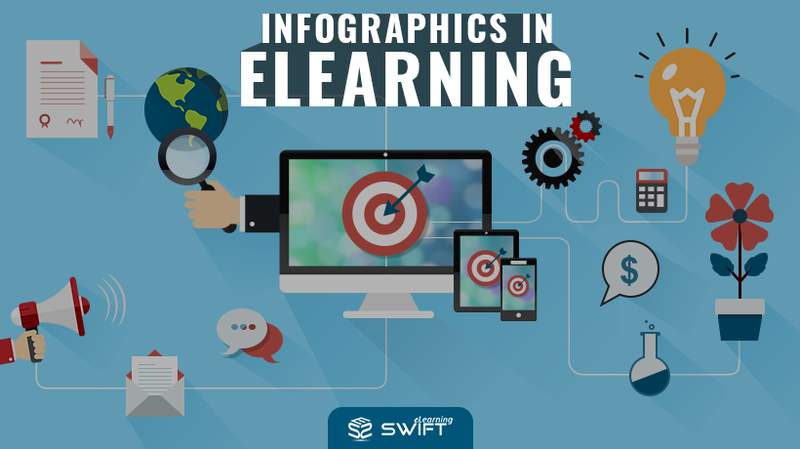 In this blog, we will highlight the relevancy of infographics in eLearning. Why eLearning Infographics Make Sense? Infographics or Information Graphics – a visual representation of information or data. Infographics are one of the best visual tools to hook learner’s attention and convey message effectively. It presents well chunked content with relevant graphics to help learners understand the content in less time and retain for a longer duration. Learners scan the infographics and interpret the meaning well, especially the complex data, when compared to other visuals. If you closely look at the infographic, large amount of content is broken into small pieces and organized in a meaningful structure with suitable graphical representation. 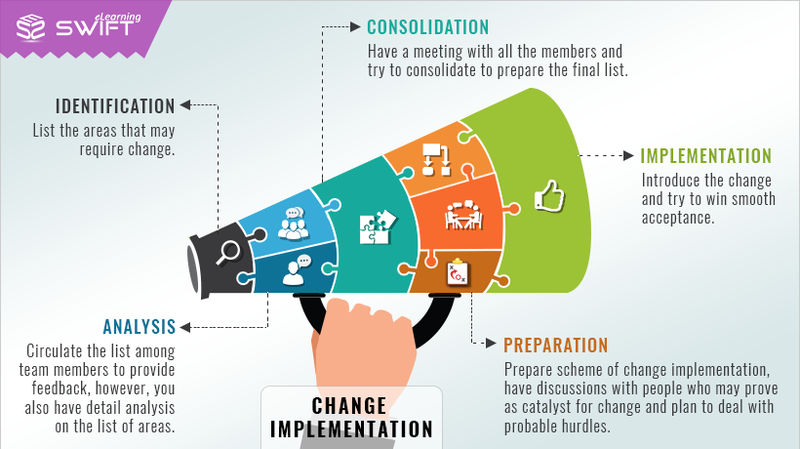 In eLearning, infographic has a major role to play. 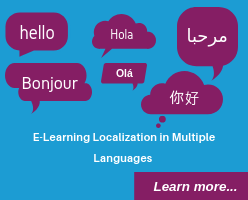 It will not enhance the effectiveness of eLearning course, but increases its visual appeal. 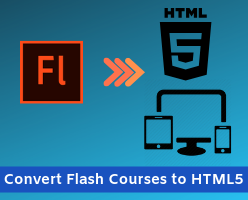 Based on a rough estimate, one Infographic may convey the message of three to five eLearning slides loaded with text. 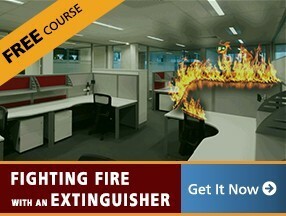 In eLearning, infographic can be made interactive and animated. There is a famous Chinese saying about image, ‘A picture is worth a thousand words; it’s more true for infographics. Photographs convey unclear meanings – the learner may confuse or may infer different meaning. Infographics are self-explanatory; the graphic structure and small content nuggets guide learner to the intended meaning. If you want to convey the complex information succinctly and help your learners digest the content easily, then infographics in eLearning should be the best choice.